The Steelers suffered from an inability to create pressure and had problems handling it, for sure. Lack of discipline (whether they were dumb penalties or issues with officiating), also. Questionable playcalling. All of them were factors on this loss, which ends the Steelers season earlier than what a franchise like the Steelers, and Steeler Nation expects each season: The Lombardi Trophy. The Steelers gave up 5 sacks and threw for 2 interceptions, while not being able to create pressure and getting just 1 takeaway, coupled with 8 penalties for 114 yards (one of them negating a TD, two of them extending Ravens drives that became scoring possessions). And that pretty much was the story of the game: Our Offense struggling to keep its QB in one piece, while Flacco had all day to throw. The Ravens showed the Steelers how to overcome a subpar secondary: creating consistent pressure without having to blitz out 5 or 6 defenders. Actually, all 5 sacks from the Ravens came on defensive schemes with 4 pass rushers. Offense: Offensive line unable to dominate + Ben inaccurate = predictable, slow offense. The lack of a balanced offense meant the Ravens knew what to expect: passing plays. And, without having to blitz out, the Ravens front four managed to get to Roethlisberger by beating one-on-one matchups. Ben was inaccurate often; extending plays long enough to let the Ravens get past the pocket. While protection wasn’t great, he didn’t get rid of the football quickly enough to avoid sacks. Even though he made some plays, his efforts were inefficient sometimes. He spread the football to 8 different receivers and completed 69% of his throws, but threw 2 interceptions (one of them on a tipped pass), missed open receivers on deep routes (twice overthrowing Brown, once Bryant) and frequently placed his throws on 3rd downs on the backside of his receivers, meaning incompletions. After he was sidelined with an injury, he came back to throw a pick to a double-covered Brown, while he still looked woozy from the hit he received. Gradkowski only played 3 snaps all season, all on the next-to-last series of this game, and while it’s a small sample, he showed he knows his receivers and, in the eyes of the Staff, could have done enough to stay as a backup for the next year. Some will say he should have stayed on the field to end that series, while he was on spot, and clearly healthier than Ben at that moment. But usually, coaches don’t sit their starting QB if he’s healthy enough to play. That’s on the Staff, not the QB. Why didn’t Harris open the game? Bell was replaced by a committee, which combined for 76 total yards (46 rushing, 30 receiving), no TDs, a fumble and a tipped pass that resulted in an interception. Tate’s start on this game could be a shot on Harris’ confidence, and a strong signal of what the staff thinks of their RB situation. Ben Tate was the starting running back on the first series, accounting for 21 yards, while fumbling once (which Brown recovered). Just 6 days earlier, Ben Tate was a free agent in street clothes, and his off-tempo and lack of playing time with Roethlisberger proved costly, while not being aware of being targeted on an escape route, tipping a pass that resulted in a Suggs interception. Archer proved, once again, he’s not going to be an every down back in this league, and his best shot is at 5th WR, showing a display of speed on his TD that was called back. The running game never got going (46 total rushing yards from RBs), while Harris had 10 touches, for 31 yards (25 rushing), during limited production that makes it hard to set an evaluation for his future with the team, taking into account that this position is usually crowded in both, free agency and draft. Wide receivers accounted for 250 receiving yards and the Steelers only TD (and Miller added 76 more yards). Wheaton, Bryant and Brown each made plays, and were some of the bright spots on offense while being frequently targeted. Bryant and Brown each managed to get behind coverage on deep routes, but were either overthrown (Brown) or “accidentally tripped” (whatever that means). Also, both failed to keep the football in bounds on what appeared to be TD passes (Brown, jumping for the football early, giving the DB a chance to push him out before establishing himself in the endzone, while Bryant dropped another one from Gradkowski). Brown had the biggest play of all on a TD catch that was called back (to the half yard line). Even Heyward-Bey caught one pass. Miller managed to get open for a 30 yard game, and was targeted frequently, but ended the game with a fumble. Inability to create running lanes, stop defenders from collapsing the pocket or being able to have a clean game without penalties were some of the main reasons the Offense struggled. Giving up 5 sacks, while blocking for a shameful 2.8 yds/att was not going to lead the way to score even half of the points (43) the Steelers scored against the Ravens just 2 months ago. For the second consecutive week, a holding penalty negated a big play by a backup running back. This one was costly, as the Steelers were fighting back, with almost 5 minutes on the clock and still down by 15 (which would have cut the lead to 8, with 5 minutes and all 3 timeouts). Defense: Where are our blitzes? Final edition. The Steelers allowed 80, 70, 56 and 69 scroring drives on consecutive possessions, without touching Flacco. The Steelers were able to stop the run (after the first series), but weren’t able to put enough pressure on Flacco to force throws. Tuitt and Heyward have proved they’re developing forces on the Defense, one that should be built around them on years to come. McLendon was a factor on Flacco’s clashes with his linemen, and pulled effectively on the line of scrimmage when needed. Playing most of the game from Nickel packages didn’t help this unit to create pressure, while OLBs weren’t huge contributors in situational pass rushing, and the 4 men that rushed to create pressure were unable to win their matchups (as opposed to what the Ravens D was able to do). Tuitt recovered a fumble that was a momentum changer, but not enough to win the game. The LB crew stepped up to stop the run, but failed to create pressure. They were caught off-tempo on the first drive, but managed to stop the run on the 2nd half. Shazier seemed to be going uphill, a shame it came on the last game of the Season. Rotation of ILBs kept them fresh, and got the only sack of the game on Flacco (by Spence) and forced two fumbles (Shazier, Spence). OLBs were not a force in this game, with Worilds providing strong arguments to his bashers while giving away a 15 yard penalty for throwing a punch (which inexplicably was not enough for him to get ejected), and blowing coverage on Gillmore’s TD. After all, he was a 10 million dollar OLB this season from whom many expected a great season. Jarvis Jones still struggles to be a factor, splitting time with Harrison, who helped to collapse the pocket but failed to sack or hit Flacco. Most of the time, the Steelers pressured with 4 defensive players, dropping 7 into coverage, who weren’t able to cover 4 or 5 Ravens receivers, giving enough time to Flacco to find one of them open and pick them apart. The biggest play from the DBs was negated by a penalty, on a text book coverage by McCain over J. Jones, but Mitchell delivered what the referees called a blow to the head on a defenseless receiver. Another big play from this unit came when William Gay made a highlight deflection on a throw to the endzone. For most of the game, they kept receivers in front of them, but allowed Flacco to pass for more than 250 yards and still allowed one 40 yard completion. A questionable cushion was given to the Ravens receivers, while Gay, McCain and Blake were playing about 10 yards from them, giving them short patterns, showing either lack of confidence on Safeties help, or excessive respect to their speed. After being a factor consistently for the last 4 games, none of the Steelers DBs provided a game changing play, failing to shut down the Ravens offense on 3rd down (which managed to convert 3rd and 10, 3rd and 14, committed a penalty (by Blake) on 3rd and 2, 3rd and 7 (TD pass, blown coverage by Mitchell) and a 3rd and 13. While Polamalu was the leading tackler for the Steelers, he wasn’t a game changing factor (probably, the argument used by the Staff before the game to start him over Allen: playoff experience, game-changing capability). Shamarko Thomas was kept out for most of the game, while Will Allen entered on 3rd down and some goal line situations, on clear signs that Polamalu wasn’t at his best. Suisham converted 3 FGs, with a long from 48 yards, while the coverage units didn’t allow their return game become a factor. Other than that, STs failed to generate great field position. Shamarko Thomas commited a penalty that improved field position for the Ravens and killed momentum for the Steelers: on the ensuing kickoff after cutting the lead to 20-15. Instead of starting a drive on their 22 yardline, Thomas was called for unnecessary roughness, and the Ravens were boosted to their 37, from which they started a scoring drive that put the game 23-15. The Steelers, on their side, only forced two punts, blocking one of them at the end of the game to get a safety (By Thomas, who somehow made up for his earlier mistake). This game ended on the same play Archer’s TD was called back, not on Roethlisberger’s first interception. Alternate ending: No holding call on Dri Archer’s TD, 30-22 with 4:47 to play and all 3 timeouts. Stop the Ravens on 3 and out (what actually happened), block their punt (also happened): 30-24, with more than 2:00 to play, 1 timeout and receive a free kick from their 20. 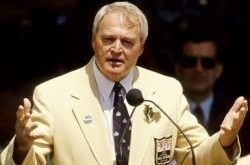 No, I’m not trying to make it harder to swallow, just to make a point on how costly a penalty can be on a playoff game. By the way, nice play Archer. Did it happen too late to save a roster spot for him in 2015? Was it enough to do so? Ben looked woozy after the hit, even after the game. While he’s a competitor and came back as soon as he could, should the staff have given Gradkowski, who looked good for his 3 snaps, an opportunity to end that series while holding back Ben? Kudos to Sean Spence for his second consecutive game with a sack, and for forcing a fumble. This kid’s story is really special. And this performance means a hometown discount from Roethlisberger? He, for sure, has now another reason to remain a Steeler, while also looking at the needs this team has on D, which will require both: cap space and cash to be filled. Memo to the Staff: Field goals are good for 3 points, while TDs for 6, plus a chance to make an extra point. Getting FGs while allowing TDs is not a way to keep a game close. Memo to our DBs: if your receiver gets past you, keep your eyes on the football while using your feet to trip the receiver. While both are effective, it’s much more credible to say you tripped, than saying your feet were too cold and you didn’t notice you kicked someone. Memo to NFL officiating: That’s 2 times in the last 3 games that a Steeler player gets literally kicked without a flag being thrown. Memo to NFL officiating #2: Consistent calls. That’s what we all expect from you. If you throw a flag on McCain for Pass interference, you must throw another if someone trips an open receiver on a deep route. If you throw a flag for holding on Beachum on a passing TD, you must look closer at what happened on Harrison on their first passing TD. Consistency, please. Why weren’t our DBs expecting the long throw? Each game (not only against us), Flacco throws it deep looking for a PI call, and usually gets at least one per game, meaning a 40 or 50 yard penalty. They were giving a 10 yard cushion, and letting them grab short passes, but still allowed a long reception and a PI call. Lack of pass rush. That’s what exposed a weak secondary. Not only this game. We gave Glennon, Hoyer, Vick and Brees time to throw. Just look back for the outcome of those games. Don’t look now, but someone will be answering questions about the HB situation soon. Letting Blount walk away was, for sure, a decision taken while having in mind the available options at HB (Harris, Archer). If they lacked confidence in them, why didn’t they sign an available HB earlier in the Season? A little further: To see a guy come from the streets and start a playoff game in a 6 day span must say something about what the Staff thinks about Harris and Archer. Will the Steelers be shopping or drafting another RB? So, Mitchell played all season with a torn groin? Well, that explains some things, but also raises questions. Two of them: What does this say about his substitutes? Does the Staff really think that an injured Mitchell is a clear upgrade from what Shamarko or Golden brings to the table? That would be very bad news for years to come. Another one: was that an excuse for poor performance? This, clearly, was not an upgrade from what Ryan Clark used to provide to the Steelers Defense. Shamarko’s hit on the kick returner was a blow to our chances, but mostly a consequence of his intensity, while also a mental mistake. He made up with the blocked punt. This kid has intensity, and should have played more on Defense. Lance Moore’s deactivation, his last game as a Steeler? Clearly brought as a safety net in case Bryant and Wheaton disappointed, but after watching the development of those young guys, now it seems affordable to let him go. Good guy, and good hands, but his best days are long gone. Was that a tribute to Polamalu’s career, or the Staff thought he provided an upgrade on what Allen brought to the table recently? Does this loss put a chip on the shoulders of players considering retirement, like Polamalu, Kiesel, Harrison and Taylor, to come for another season? If so, who of them is still playing at a high enough level to contribute? Even if they want to come back, some of them will (should) not be offered a contract. And, suddenly, a thin group looks crowded (ILB), and a crowded unit looks thin (OLB). Suddenly, the most solid units on the Defense seem to be DE and ILB, with Tuitt, Heyward, and a mix of Timmons with anyone of these: Shazier, Spence, Williams. That’s what you have to build a Defense around. And at CB, we’re not as bad as it looks. Gay, McCain and Blake should look much more reliable if pass rush existed. Yes, I’m sure something should be done about Cortez Allen’s contract. He’s not even close to where the top 3 performers at CB are playing right now. Either he bounces back big, or should be getting a call to renegotiate his contract (probably being cut). One year later, it’s fair to ask: So, Worilds was an upgrade from what Woodley brought to the table? Really? If LeBeau calls it a career, will it mean a transition to a 4-3 Defense? If so, will it mean the Steelers are not set with Butler to run the D? His specialty is under LeBeau’s 3-4 scheme. Sorry, but Rex Ryan doesn’t suit up for the standards of the Steeler way. As much as you like him, he’ll never be part of the Steelers staff. With that said, I don’t expect Coach LeBeau to walk away after the Season, nor Coach Tomlin or the Rooneys firing him or forcing him into retirement. And no, I don’t think his departure is the answer to the Steelers D problems. This unit needs an upgrade at OLB to one who can effectively create pressure, and a ball hawk at Safety. An upgrade on CB will help, too, but just upgrading OLB and S positions should boost this unit’s performance. Is that why some DBs target the receiver’s knees? Nelson did it, and looked dirty against Bell, but Mitchell said after the game he’ll do so from now on, in order to avoid penalties. First of all, dealing with potential retirements: Ike Taylor, Troy Polamalu, James Harrison and Brett Kiesel; all of them being candidates to call it a career. 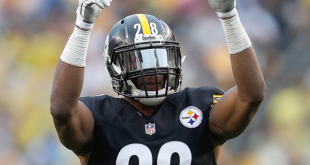 After that, offseason moves and contract negotiations, which might include extending Roetlhisberger (has 1 season left in his contract), Tomlin (2 seasons left in his contract), and revising situations of some others, based on performance and expectations when given extensions (Cortez Allen, the most noticeable on this scenario). The Pro Bowl, which will be played in Arizona, January 25th. Roethlisberger, Bell, Brown, Pouncey and Timmons were selected to play on the Pro Bowl, and a couple other that could go as replacements as injuries and players from teams heading to the SB become unavailable. Bell could (should) be among injury absences for the Pro Bowl. After that, preparing for the Scouting Combine (Feb 17-23) and the Draft (April 30 – May 2). Talking about what comes next: I know we’ll have a couple more articles about the Season’s thoughts and What Comes Next to the Steelers. I don’t know what comes next to this section on TheSteelersFans. But I’d like to thank Steve Alan (TTF) for the opportunity of writing for TSF, and also for his patience, guidance and the advice provided to keep these articles up, while reading them as Main Editor late into the night or even while having other more important issues to deal with. And special thanks too, to the 3 or 4 readers I’ve got each week, who are able to make it to the end of my articles on a weekly basis. It was a special Season for me too, just for having the opportunity to contribute with this. 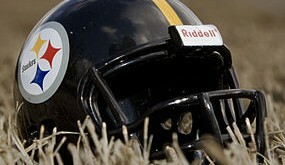 5 years, almost, since the last Steelers playoff victory (Jan 23, vs NYJ). 5-4 Mike Tomlin’s record on the Playoffs. 8 yards. Longest play from scrimmage by a Steelers running back.